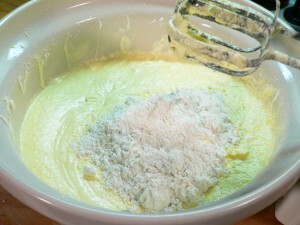 Gradually add the Flour, about one cup at a time. With the mixer, beat this in the batter until it’s incorporated, but don’t over do it. Continue to add the flour until it’s all been added to the batter.